CEDAR FALLS, Iowa -- Donald Trump added a new riff to his campaign speech Tuesday: the lyrics of Al Whiston's song "The Snake." In the song, a woman takes care of an injured snake and is then surprised when it bites her. 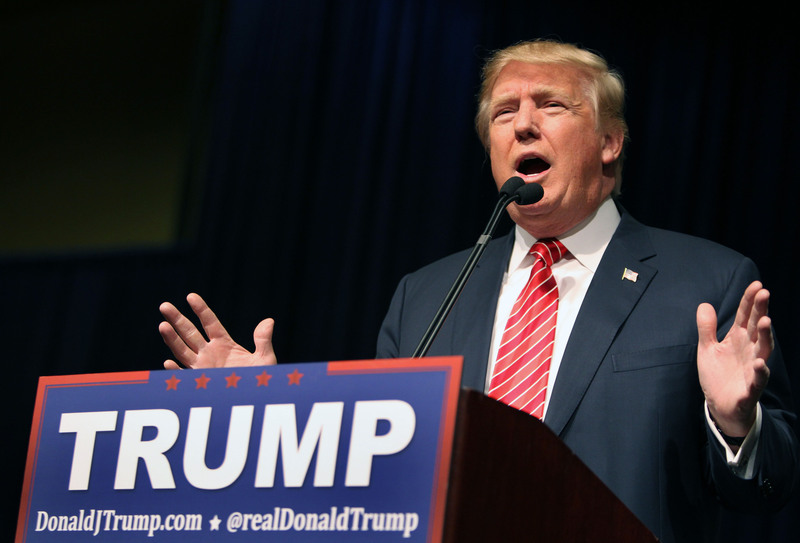 Trump sees the song as a fitting comparison to the U.S. decision to take in Syrian refugees. "We're the sucker," Trump said as he fixed his thick-rimmed black glasses onto his nose and began reading the song's lyrics aloud. He said he had recently read them on the way to work. "A tender-hearted woman saw a poor half-frozen snake," Trump said. "Take me in, oh tender woman," Trump said of the vicious snake. After the snake bites her, it tells her that she "knew damn well I was a snake before you took me in." "Hopefully that's not going to be the case," he told the room. "But we have no idea what we're doing. No idea who we are taking in." Was Gov. Haley's State of the Union rebuttal a response to Trump? The song resonated with Kara Baker of Cedar Falls. She's a committed Trump supporter and mother of eight. "It was very fitting, especially in the times that we are in, when you have...an influx of people that, you know, your heart goes out to them," Baker said after the rally. "They have been displaced, but it is kind of like the old adage of...a wolf in sheep's clothing." Some in the crowd thought the snake comparison was the best part of the whole speech, but the five minutes Trump spent on it was a little too much for some. "It was really long-winded, and I am not sure I would have chosen it, but when he got to the end it made sense," said Tyler Rowe who is a Trump campaign precinct captain fromAltoona, Iowa. The 20-year old spent much of his Christmas break canvassing door to door in his town for Trump. He is supposed to knock on 111 doors, but he has only made it to around 30. He says he'll continue to canvass in the weeks before the caucuses. Trump pressed importance of winning the Iowa caucus, mentioning his lead in New Hampshire polls, and his fight to win Iowa. To that end, he repeated his attack line on Ted Cruz -- who appears to be his only real competitor for Iowa at this point -- questioning the validity of Cruz's presidential bid because he was born in Canada. "He was a citizen of Canada until 15 months ago. That's a big problem," Trump pressed. Cruz has renounced his Canadian citizenship. The rally took place just before Mr. Obama's last State of the Union address, and Trump wavered about whether he would watch it or not but finally decided, "I probably will. Probably will. You gotta watch." In State of the Union, Obama calls on Americans to "fix our politics"
The State Of The Union speech was one of the most boring, rambling and non-substantive I have heard in a long time. New leadership fast!